Dynamic, progressive dark-rock outfit VULTURE INDUSTRIES are streaming their brand new record, the first album for Season of Mist, The Tower in its entirety at Revolver Magazine. VULTURE INDUSTRIES’ The Tower was released on September 30. It was recorded at the Conclave & Earshot Studios in Bergen, Norway, mixed by Herbrand Larsen (ENSLAVED) and mastered by Jens Bogren at Fascination Street Studios (OPETH, KATATONIA, DEVIN TOWNSEND, IHSAHN, ENSLAVED). The cover art and track listing can be found below. Through their charismatic musicianship, VULTURE INDUSTRIES quickly earned the reputation of a formidable live act, characterized by the fusion of technical prowess with eccentric, manic performances by front-man Bjørnar Erevik Nilsen. The Tower is available as a CD, LP & here. The limited first pressings of the The Tower will include a limited bonus track. The band previously released a video for the track “Lost Among Liars” here. Following the launch of the The Tower, VULTURE INDUSTRIES will commence a new live theater project with the Happy Gorilla Dance Company. The project, titled “Turning Golem” will combine a unique take on theatrical performance, combined with music from The Tower. Turning Golem will be staged on three separate dates: August 17 at the Dark Bombastic Evening in Transylvania, Romania, October 25 at the Garage in Bergen, Norway on and October 26 at Phantoms of Pilsen Festival in the Czech Republic. Turning Golem will feature five tracks from The Tower during the show. A full list of tour dates can be found below. 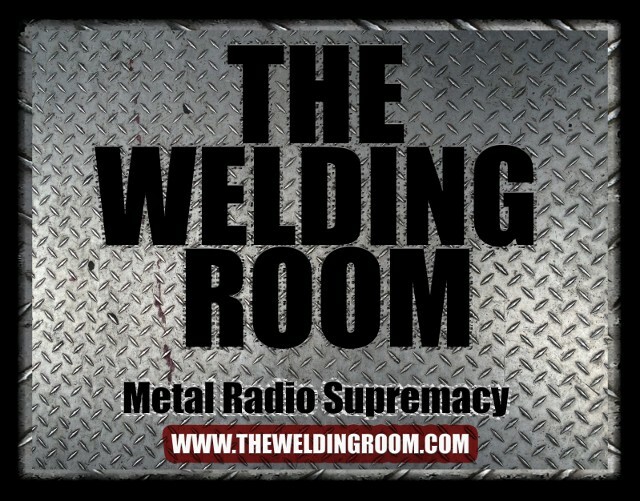 This entry was posted in METAL and tagged #DeathThreatsComplaints, #TheWeldingRoom, #TWRradio, Bergen, Copenhagen, Czech Republic, Fascination Street Studios, INDUSTRIES, Jens Bogren, norway, Rostock, Season Of Mist, Tower, VULTURE, Vulture Industries. Bookmark the permalink.